$5 off Old Schoolhouse Magazine, Plus 19 Free Gifts! Read about the promotion here. In addition, they are also offering $5 off the subscription price! Woo-hoo! Enter coupon code HPSGL5OFF at checkout. Every individual comes with a story behind their beliefs. I am always intensely curious to hear such stories on how one comes to certain conclusions, what experiences have formed their perspective and what potential experiences may change a foundational belief. 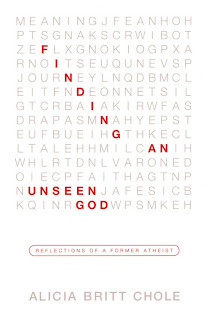 In Finding an Unseen God, Alicia Britt Chole shares her story of how she formed her atheistic worldview, strengthened it as time progressed, only to abruptly exchange it for Christianity. Chole shares her personal story of her family, her childhood, and her transformation. She not only gives us a glimpse of the mind of the atheist, but the heart as well. There is even a chapter of what not to say to an atheist. Chole is obviously intellectually gifted and full of compassion; I respected her insight and the transparency of her spiritual thought process. Chloe tells two parallel stories, that of before her conversion, and that after. However, Chloe intertwines the timelines of her two stories with an creative arrangement of chapters that show how the experiences of both impacted the other. As her story unfolds, it is clear that Chloe's life experience prior was used to form a stronger faith after her transformation. At the conclusion of the book, Finding an Unseen God leads up to a dramatic and personal encounter with God that resulted in her immediate conversion. I found myself wanting to know more about her experience than was written. However, Finding an Unseen God is less about the Chloe's specific encounter and more about God's perfect timing, spiritual journeys and process of asking questions and seeking answers. Chloe's spiritual journey will make you reflect upon your own story, your beliefs and the grace of God whom desires a relationship with us. All About Spelling - Level 5 at 25% off! I just received word that All About Spelling Level 5 has just been released and is 25% off until July 18th. This is a fabulous spelling program that I discovered last year. You can read my review here. We've been using this program since last fall. It has been a wonderful fit for my dyslexic son and I was hoping that Level 5 would be coming out before he finished up Level 4 this fall. Be sure to get in on this sale for a $10 savings before it ends July 18th. I'm putting my order in today! Read more about All About Spelling by visiting their website here. Or, you can go right to the Level 5 sales page if you are ready to order. If you haven't already read Part 1 of this review, please do so and get yourself up to speed! I've included basic information in Part 1 that I will not be including in this update. I get excited when I see a product that fits a particular niche or fills a need within a population, whether I happen to be a part of that niche or not. I know the elation of finding the perfect program for your particular situation, one that makes you feel like you just completed a quest or found a treasure. Sometimes that treasure needs a bit of polishing, but in the end it is a real gem. I earlier shared an initial impression of Friendly Chemistry as a diamond in the rough. After having a chance to dig in some more, I've confirmed that this program has a real potential to shine! I didn't get very detailed with the structure and format in my earlier introduction and will spend a bit of time doing that now. As mentioned earlier, there are two binders for the program, one for the student and one for the teacher. The lessons in the Student Edition consist of 3-10 pages of independent reading followed by activities or worksheets to solidify the new concept taught. The lesson is designed to be read before a group class, where the teacher will expand upon what was covered in the student text. The Teacher Edition is essentially an outline of how the class should be conducted with instructions for games and activities. It also includes answers to the worksheets and tests. Whether or not the teacher has a background in chemistry, it would be best to read the Student Edition before teaching class. I didn't feel the Teacher Edition thoroughly explained the concepts that are to be taught and this will ensure that both teacher and student are on the same page. It was always suggested that class start with a review of the previous lesson. Many times the outline suggested that the new student lesson be read as a class; other times more explanation than given in the student text was provided in the Teacher Edition. Each class always contained at least one group activity, many which were very creative. Often group gym games were incorporated. Some of the activities could be done with an individual student but in general the activities were geared towards group learning. I used this program with one student, a middle schooler, and found it adaptable for this purpose. First, I would read the student lesson on my own. 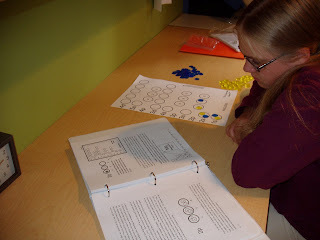 Next, I reviewed the Teacher Edition for that lesson and selected classroom activities that could be done with one student or adapted, gathering any needed materials. I then assigned my daughter the student lesson and worksheets to do independently. Usually the following day, I would cover the material more using examples from the Teacher Edition if needed, do the related activities and assign the chapter test. As with most programs, Friendly Chemistry has areas that are a definite advantage and other areas that could use some improvement. Some areas that may be a advantage to some are a disadvantage to others. In this case, I've listed the potential concern in both areas. Note, many of the areas needing polished are simply in the presentation package and easy to buff out. Other areas, such as it being less rigorous or labs without beakers and Bunsen burners, are situational and also on the "shine" list. While adaptable for the individual student, Friendly Chemistry is ideal for group learning. In particular, I think a group of young gifted learners would completely enjoy this program being presented as a class. I do not want to discount that many older students would enjoy it as well. After all, most teens will enjoy a good physical gym game and team activities. High school students who aren't looking for a honors chemistry program or are hands-on and discouraged by dry texts will certainly appreciate this program. However, I feel that one niche group this program truly serves would be those upper elementary and middle school students that are ready for chemistry but not the weighing down of your traditional textbook. This would make a fine course as an introduction to chemistry, either for the student continuing on with more courses or those who are just looking for the basics. Be sure to check out the Friendly Chemistry website; you may find yourself a true treasure. In an effort to get a great chemistry curriculum in the hands of more families, Hideaway Ventures, the creators of Friendly Chemistry, is hosting a BIG summer sale on their curriculum! From today (July 8th) until September 1st, 2009, the retail cost per student text will be $30.00 and the teacher's edition will be $40.00 (shipping included). This is less than half the regular price. 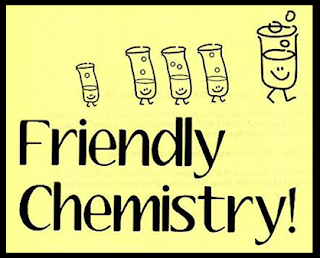 If you've been contemplating using Friendly Chemistry, now would be the time to make your choice! Go to www.friendlychemistry.com to learn more about this unique chemistry curriculum. 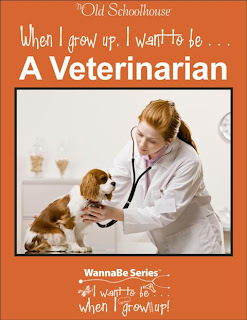 Up for a giveaway today is an ebook from the new WannaBe series by The Old Schoolhouse magazine, When I Grow Up I Want to be a Veterinarian. Does your child aspire to be a veterinarian? Have them learn all there is to being a vet in this action-packed ebook of over 80 pages long. This multi-age unit study has activities for children from 4 to 10, but the content is appropriate for the whole family --teens, mom and dad, and grandparents too. Bursting with over 80 pages, this E-Book is a true bargain --jam-packed with intriguing, well-researched information and engaging activities for a complete unit study. Perfect for school or a great summer activity! This giveaway will end on July 13th at 6 pm EST. Winner will be selected by random drawing. Farmers Insurance Group and The Association for the Study of African American Life and History have teamed up to offer a free history resource to educators, the Freedom's Song DVD and Lesson Plans. Homeschooling teachers are eligible for this offer. I was surprised at how quickly I received my items. I haven't had time to watch the DVD yet, but it overall looks like a great resource. You can read more about the offer and sign up here.